Rylo is a new $499 overcapture-capable 360 camera. Should you buy one? There’s a new camera on the market, but it’s hard to call it a 360 camera. 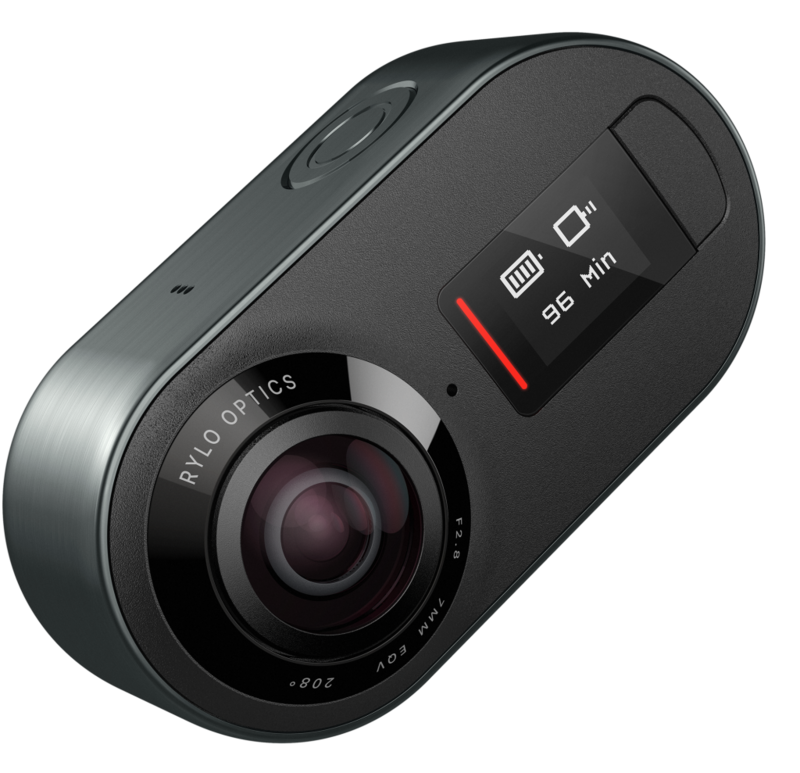 The Rylo camera can capture 360-degree 4K video at 30fps and 18 MP photos with two 208-degree fisheyeAn extreme wide-angle lens, with image distortion occurring at the edges of the frame. lenses with an f/2.8 aperture. However, even though Rylo can capture 360-degree video, it seems like its true purpose lives inside the camera’s companion app, which allows users to extract 16:9 flat videos from the 360-degree sphere. Whether you call it overcapture, free capture or something else entirely, one this is certain: this isn’t a revolutionary new tool, but it might be just the thing to perk up the 360 camera market. Points, seen here, is one of four special overcapture modes in the Rylo app. The first time I heard about overcapture was at Photokina 2016. 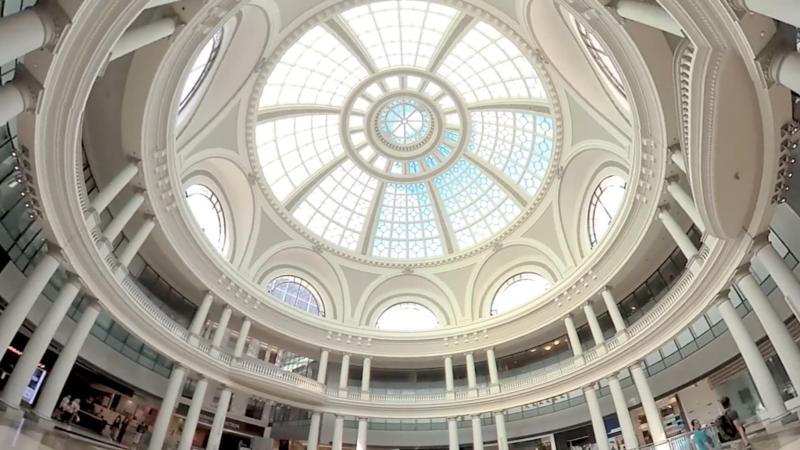 GoPro was showing off the Omni and this awesome new feature that would allow users to punch out flat footage from 360 spaces and they called it overcapture. A year later, that feature–dubbed free capture–hit the consumer 360 market in the form of the Insta360 ONE. Later this month, GoPro’s own Fusion 360 camera will ship with this feature in tow. And, if done right, the results can be really cool. 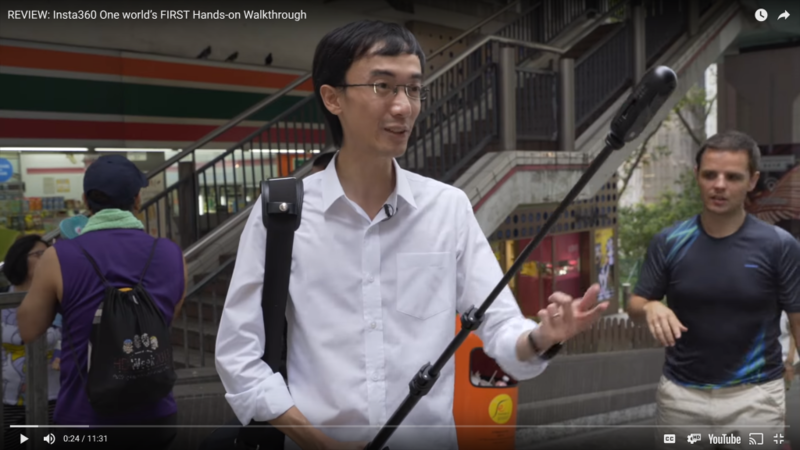 All in all, overcapture and tools like it are attempting to turn one-trick pony 360 cameras into something even flat photographers, videographers and vloggers might want. And, it just might get more people to experiment with immersive content. Rylo can be mounted in the same way as a GoPro, using a special case. Okay, so why do I say that Rylo isn’t meant to be your go-to 360 camera? All the evidence points to its purpose as an overcapture tool. In interviews with the team behind Rylo, which includes engineers from both Instagram and Apple, the founders of the company said their initial intention was only to build an app that would allow users to convert 360 videos to a number of different kinds of flat videos, using techniques from overcapture to picture-in-picture. In an interview with Wired, co-founder Chris Cunningham said they looked at existing cameras to try to build on top of them, but “realized they needed more control over the optics of the camera in order to correct for things like lens distortion” author David Pierce writes. 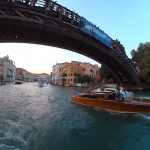 Alongside, FrontBack, Points and Follow, the Rylo app also has a timelapse mode. A significant part of the software behind Rylo is its stabilization feature. For context, one of Rylo’s founders, Alex Karpenko, created the Hyperlapse app for super-stabilized timelapse footage without a tripod or gimbal. In that interview with Wired, Karpenko said that was one of the big things shooters needed to get right–“Your video needs to be stable, it needs to be level, and it needs to be looking at the right thing”–and that’s what Rylo’s software is doing. The camera and its custom optics to reduce warping and stitching errors is just the medium through which footage must travel to land, usably, in the app. 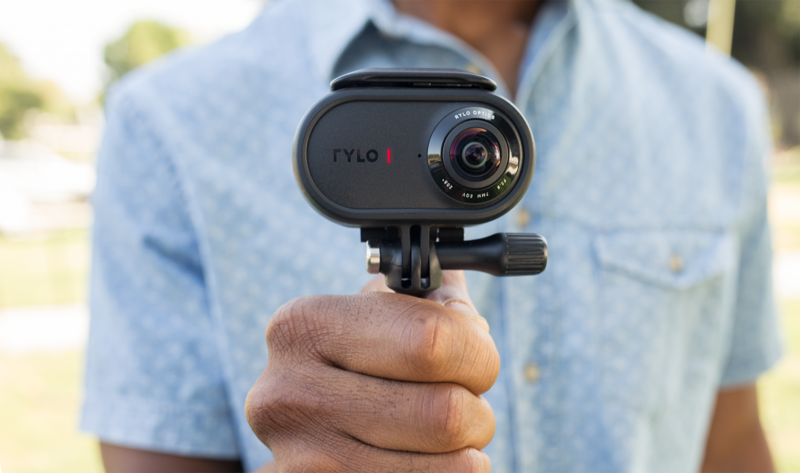 Rylo claims its camera and app can stabilize even shaky handhald shots. In fact, according to The Verge, Rylo’s app “basically uses all that extra information from the 360-degree sphere that you’re not going to use to stabilize the footage.” Instead of being a 360 camera for 360 content, the 360 content is essentially collateral damage to get a better flat shot. It’s also worth mentioning that Rylo doesn’t have a tripod connector. Although Rylo will sell a case for the camera that attaches to GoPro mounts, the camera itself isn’t immediately compatible with your existing stabilization solutions. 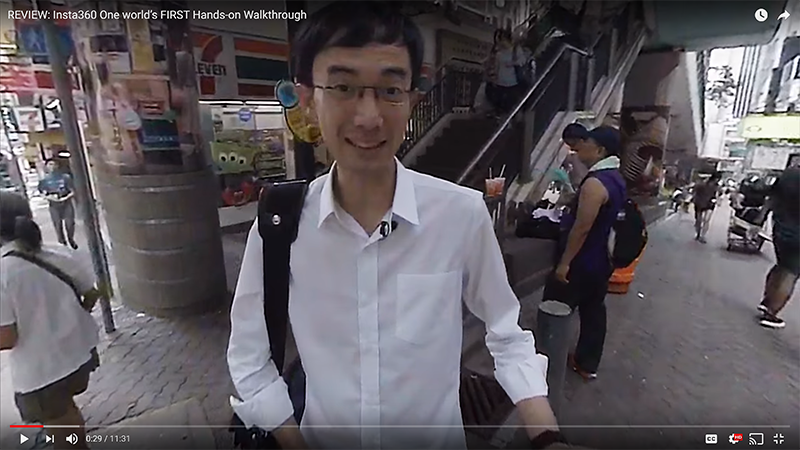 It’s almost begging you to hand-hold it–something you’d never want to do if you actually planned to use that footage in its original 360 format. 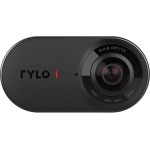 A handful of overcapture examples are available on Rylo’s website, linked below. This is a still screenshot from one of Rylo’s promotional overcapture samples, as are the images below. So, if Rylo is all about overcapture, what makes it worth $499 when the Insta360 ONE costs just $299 and also considers 360 video and photo (and bullet time) as key camera features? I think the answer comes down to overcapture samples from both cameras. Although I love–love–the concept, I’m not sold on overcaptured footage from the Insta360 ONE just yet. It claims to be 1080p, but it just doesn’t quite look it. Here’s an example from our sister site, Photo Gear News. Check out even just the first :30 seconds. So, why doesn’t it look so hot? This might be because of the angles at which the overcapture footage I’ve seen has been shot. If you takeIndividual instance of a shot; a take = each time the camera is started and stopped. 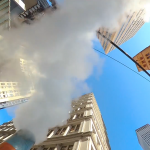 advantage of the ONE’s “invisible selfie stick”, its internal stabilization, and its ability to always maintain the horizon regardless of actual camera orientation, then a lot of times you’ll be walking around with the ONE on a selfie stick in such a way that the center of the lens is pointed at the ground and at the sky. And, chances are, you won’t be “overcapturing” that. Instead, in this example, you’re placing yourself and what’s directly in front of you in close to the worst place imaginable: on the edge of the lens, dangerously close to the stitch. No wonder it doesn’t look crisp! Even when the Insta360 ONE isn’t oriented vertically, it will automatically adjust to keep the horizon straight. Although this is a great feature, it can also lead to a lack of attention paid to centering the focus in the middle of the lens. In that way, Rylo’s custom optics could help. And, it being marketed directly as an overcapture tool could also help. Instead of planning to capture 360 and maybe using some of it as overcapture, Rylo users might be more likely to plan ahead for their overcapture footage, orienting the center of the lens towards the action but leaving room for error by capturing all that “collateral damage” mentioned above. And, at least initially, Rylo’s overcaptured videos look higher quality than those from the Insta360 ONE. That might be because the camera was positioned in an optimal way. It might be because we’ve only seen promo footage so far, and it could be heavily manipulated. Or, it might be that the Rylo and its app are just better suited for this particular technique. That will remain to seen after more footage from the Rylo surfaces. Note: I’ve also been told that to really achieve 1080p flattiesSlang for traditional, 2-D videos. from a 360 sphere, the resolutionThe number of pixels in an image, typically presented as a ratio of the total pixels on x axis to the total pixels on th... More would need to be more in the 5K to 6K range. I’d attempt to explain the math, but considering I don’t understand it, I’m simply relaying the information–takeIndividual instance of a shot; a take = each time the camera is started and stopped. it or leave it. The 5.2K GoPro Fusion, with its overcapture feature, comes out later this month, so we’ll soon be able to test the difference. Rylo is currently available for purchase for $499 and is compatible with iOS devices. An Android version will be launching in 2018. The camera will come with a 16GB micro SD card, but will work with cards up to 256GB. The one it comes with can store up to 34 minutes of video or 5000 photos. It’ll also be able to record up to an hour continuously on one charge, and the battery is swappable. One sort of strange feature about the camera is that it won’t offer any Bluetooth or WiFi connectivity and no option to live preview your shots. You just have the camera, its small OLED display, and its single power/record button. To view and transfer what you’ve shot, you’ll need to connect your camera to your phone via USB. That’s great to save your phone’s battery life and to facilitate faster file transfer, but live preview is also a feature a lot of people will certainly miss. 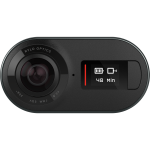 To transfer files, Rylo users will need to connect the camera to their smartphone via USB cable. However, the on-camera display will be nice. 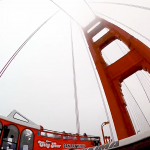 In the few hours I played with the Insta360 ONE–granted, much of it was user error and a lack of having read the manual in advance!–if the camera wasn’t connected to my phone, I was truly lost and completely unsure of what I was capturing. Plus, as seen with the Nikon Keymission 360, the one-button concept without a screen can be needlessly frustrating. 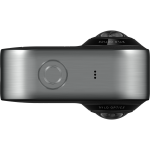 The camera has an anodized aluminum body and weighs 108 grams and is 72.5 x 37.0 x 42.7 mm. Final thoughts: Insta360 ONE or Rylo? If you want to compare full specs with Rylo’s closest competitor, the Insta360 ONE, I highly recommend this post from 360 Rumors blogger Mic Ty about the pros and cons of these two cameras. But, to me, it’s no competition. If you want a camera to capture mostly 360, the ONE is the one for you. If you want a 360 camera to extract mostly flattiesSlang for traditional, 2-D videos. and the occasional 360 photo or video, wait for more samples from the Rylo to come out. 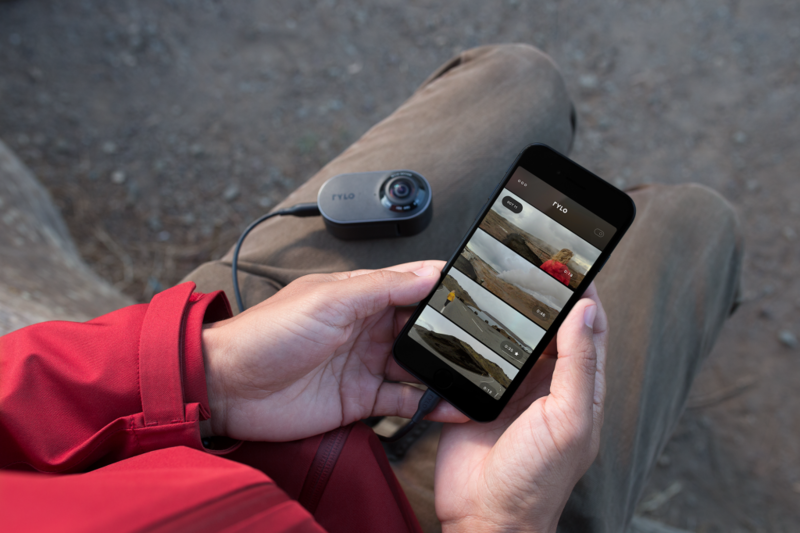 If they look as promising as the promo shots, Rylo might be the right camera for you.